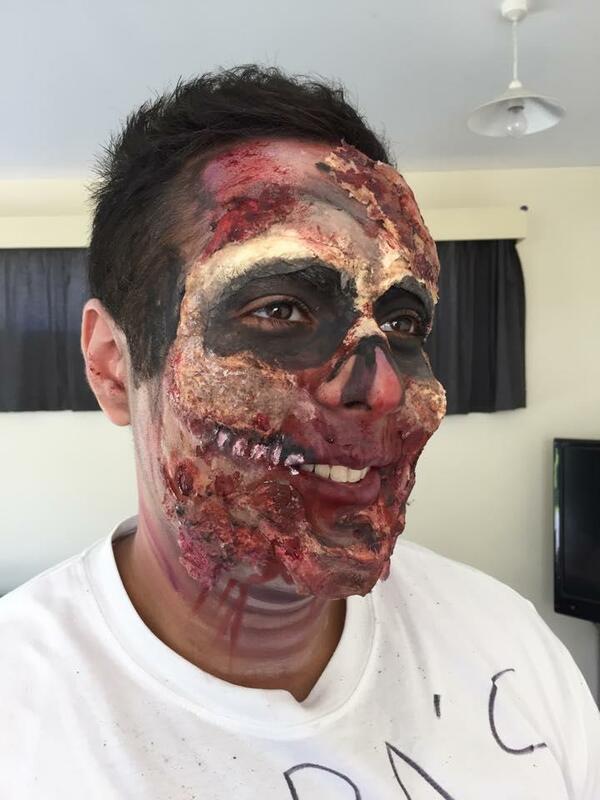 Simple walking dead style zombie look! Quite a fun one to do! 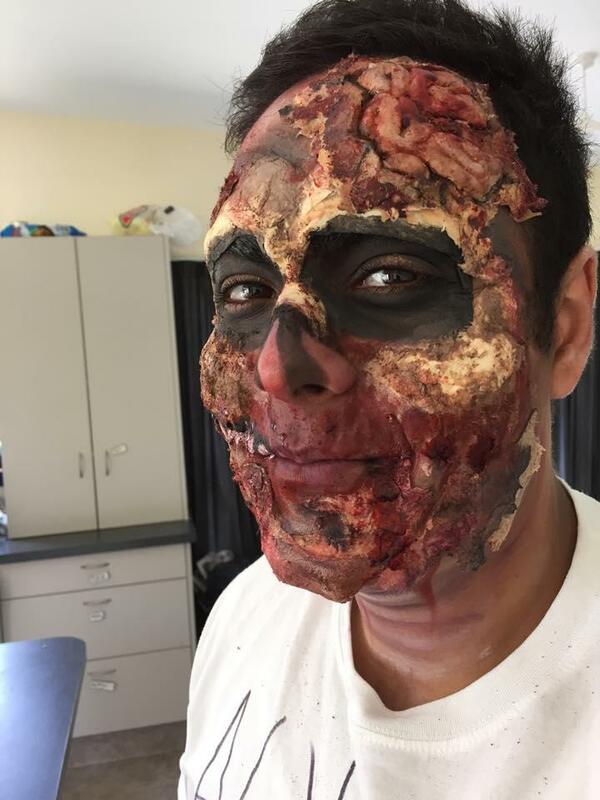 Walking dead inspired zombie with exposed eye sockets and brain! Built up using cotton tissue and latex for the facial structure with an added home-made brain prosthetic made of Ben Nye wax, bald cap and cotton latex build up. 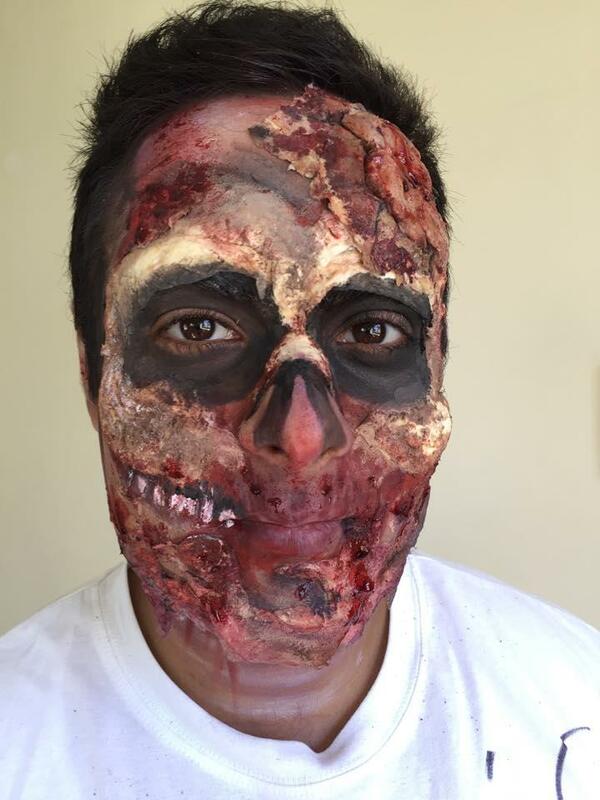 Coloured using FX Skin Illustrator pallete, bruise wheel, face paints in red and black and scab blood. 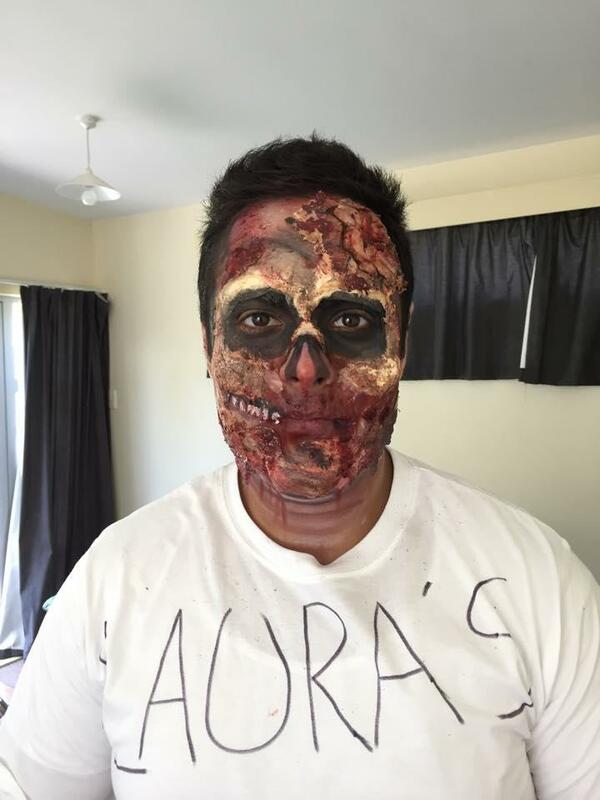 My friend didn't have his costume quite yet so sadly this look doesn't quite get the full effect that he would have had at his Halloween party!